Fat Girl to Thin: My Excitement Overflows! First of all, I would like to apologize for my post yesterday. I was a little but frustrated and I don't think you should be allowed to post when you are in a bad mood. I should have known better but well...I am feeling better today. Today was the first time in over a week that I got to do Zumba. The teach has been sick so no class or I was at work and couldn't go, it was just one thing after the other. Well today I finally got to go and I loved it just as much and maybe even more that in the past. I needed a really good workout after yesterdays terrible run and no afternoon workout. Tonight I will get in a little bit of a swim and then off to Biggest Loser land. I actually have a Biggest Loser date tonight. One of my workout buddies and Biggest Loser enthusiast is coming over for a little dinner and lots of Biggest Loser. No treadmill tonight, just sitting like a slug on the couch for 2 whole hours. And yes I am calling it a date because I have not been on one of those in, well, forever and this is a nice pretend date. Basically dinner with another person, that's a date right? Tomorrow however, I do not get to be a little slug. I have steps in the morning and then Wednesdays long run. Tomorrow is 10 miles+2 miles on the steps. After my frustration yesterday I just decided I am running the steps again until it hurts, then I will stop. Hopefully I have given it plenty of time to heal and I won't have any more Achilles problems. I am just hoping and praying for a good run tomorrow. Then tomorrow night it is back to the Cut with my nighttime workout buddy! We have been off for almost 2 weeks now and most of that is her fault. She celebrated horses for a week and faired for another one. I only canceled once....see not my fault. I'm ready to get back to it. I also have new project brewing in my brain. I like to tell you guys so it won't be a surprise when it debuts but sometimes the ideas never get to a final project. Just stay with me and maybe I will have a new project coming soon. Thanks for coming back to me today after I was in such a mood yesterday. 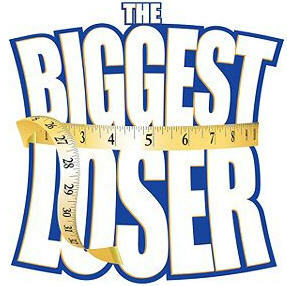 Check back because I am sure there will be a late night Biggest Loser update!!!!!! So ready, 3 and a half hours to go! I love this show! It was great to watch it again!